When you want to go out, but aren’t feeling the brightness of The Strip, there are plenty of choices in Summerlin for Happy Hour fun. With unique drink specials, shareable small plates, and even live entertainment, there’s somewhere for every #squad to cut loose and relax. 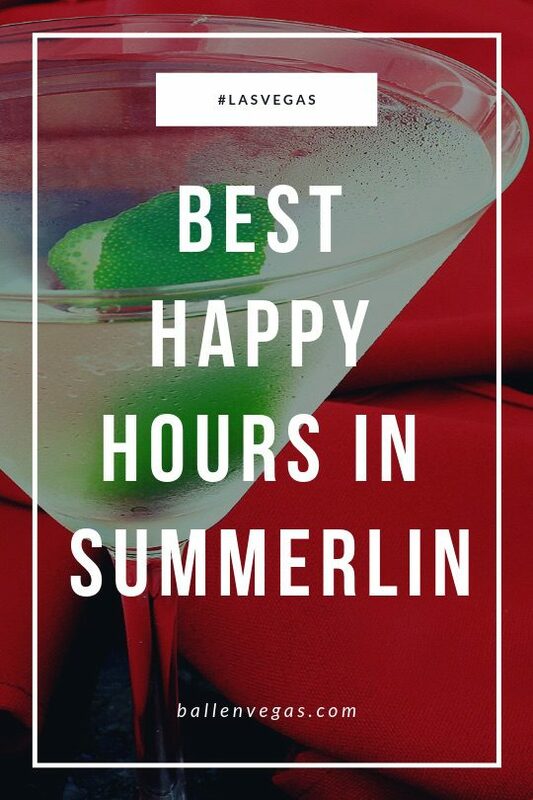 The Best Happy Hours In Summerlin are here! See Summerlin Homes For Sale with price on the Map! Maggiano’s Little Italy in South Summerlin has Happy Hour Monday through Friday from 4:00 pm to 6:00 pm. Included in drink specials are $3 beers, $5 Coppola Wines by the glass, and $6 cocktails. If you want something handmade and shareable, their signature Flatbreads are all $4 each. Whether you’re celebrating a special occasion or just unwinding after work, Maggiano’s is the place for a warm, Italian family atmosphere. Parking is available in the general downtown Summerlin parking areas. Aces and Ales Tenaya is a perfect spot for the beer-loving gastro pub enthusiasts. Craft beers on tap are rotated, so there’s always something new and exciting to try. Their Happy Hour is Monday through Friday, from 4:00 pm to 6:00 pm. Enjoy $2 off all drafts – so you have no excuse not to sample some of the best local and niche ales and Pilsners. Specialty cocktails and wine by the glass are also $2 off during Happy Hour. All pizzas are 50% for dine-in only. For other sharable munchies, the chef-driven $5 bites are perfect to share with the group. Aces and Ales is open 24 hours – other happy hours include Sundays from 8:00 am to midnight and Monday through Friday from midnight until 2:00 am. Parking is available in the lot outside the lounge. Andiron Steak and Sea is perfect whether you want grilled, roasted, shucked, or seared. Enjoy drink specials every day from 4:00 pm to 7:00 pm in a classically contemporary atmosphere. Sunday Brunch, offered from 10:00 am to 2:00 pm, also has rotating Happy Hour drink specials as well as a specialty menu. Parking is available in the Downtown Summerlin general parking lots. BJ’s Restaurant & Brewhouse Summerlin is perfect for a casual post-work gathering. Enjoy a long Happy Hour in a fun, friendly atmosphere Monday through Friday from 3:00 pm to 7:00 pm. Drink specials include $1 off beer, wine by the glass, and cocktails. Delicious mini deep-dish pizzas, fired in the onsite pizza oven are 50% off, and all shareable flatbread appetizers are $2 off. If you can’t make the afternoon Happy Hour, enjoy the same drink and food specials late-night Sunday through Thursday from 10:00 pm to 11:00 pm. Parking is available in general lots shared by BJ’s and other nearby businesses. Brio Tuscan Grille at Tivoli Village Eat well and live well in an authentic Tuscan villa atmosphere, surrounded by friendly staff and attentive service. Happy Hour specials include $4 to $6 “plates and pours,” cocktails, glass beer and wine, and shareable, craveable small plates. Stop by with the crew after work Monday through Friday 3:30 pm to 6:30 pm, or late night Monday through Friday 9:00 pm to midnight. Parking is available in the general Tivoli Village lots, as well as limited street parking. California Pizza Kitchen Summerlin offers creative, California-inspired cuisine in a bright, fun atmosphere. Enjoy Happy Hour specials Monday through Thursday from 3:00 pm to 6:00 pm. Enjoy wood-fired pizzas and flatbreads made with fresh ingredients and rotating drink specials. If you can’t make the afternoon specials, enjoy a late-night Happy Hour with drink and food specials Monday through Thursday 8:30 pm to 10:00 pm. Limited street parking is available, and more in the general Tivoli Village lots. Casa Del Matador located in Downtown Summerlin has over 120 different tequilas and serves up zesty Mexican cuisine. Swing by for Happy Hour specials every day from 4:00 pm to 6:00 pm and late night from 10:00 pm to 1:00 am and enjoy $5 to $6 Specialty Margaritas and $4 to $6 select appetizers and menu items. If you can’t make it during the week, visit for Brunch on the weekends from 10:00 am to 2:00 pm. Parking is available in the general downtown Summerlin lots. Chicago Brewing Company is a microbrewery in a beautiful brick building, with the brewery visible through large plate-glass windows. Freshly crafted homebrews are poured by knowledgeable bartenders – expect to hear the history of the craft brewery and expert descriptions of each draught. Enjoy Happy Hour specials Sunday through Thursday 4:00 pm to 7:00 pm and late night Sunday through Thursday 11:00 pm to 1:00 am with $3 to $4 Draft Beers, $3 well cocktails, and $4 Sangria by the glass. Shareable appetizers are $4 to $6. Parking is available in a small lot by the building and on the street. Claim Jumper on Fort Apache Relax and unwind in a rustic cabin atmosphere with crackling fires, huge Douglas Fir logs and natural stone, and friendly saloon servers. Enjoy Happy Hour specials Monday through Friday from 3:00 pm to 6:30 pm, with $4 well drinks and premium draft beer, $5 to $6 select cocktails and wines; and $8 premium pour selections. Share delicious appetizers from the full menu, specially priced from $2 to $10. If you can’t make it during the week, come out on Saturdays from 11: 00 am to 3:00 pm to enjoy the same great food and drink specials. Parking is available in the restaurant lot. CRAVE is a unique Las Vegas dining experience, with chef-prepared cuisine sourced from local and organic ingredients. Sample Happy Hour specials of $5 to $8 appetizers and sushi, and specialty drinks from $4 to $6 during one of several Happy Hour times. Visit Sunday from 5:00 pm to 9:00 pm, Monday through Friday 3:00 pm to 6:00 pm, and Monday through Saturday 9:00 pm to 11:00 pm. Enjoy Thirsty Tuesdays with half off all bottles of wine from 11:00 pm to 10:00 pm. Parking is available in any of the Downtown Summerlin lots. Dave & Buster’s is the go-to location to eat, drink, and play. Enjoy Happy Hour specials Monday through Friday 4:30 pm to 7:00 pm and Sunday through Thursday 9:00 pm to midnight, with half-price cocktails, $2.50 draft pints, $1 off 22oz drafts, $1 off wine by the glass, and $3 off all bottles of wine. For munchies, enjoy half-price appetizers, perfect for sharing with the group. Parking is available in any of the Downtown Summerlin lots. Distill is where you come for the drinks and stay for the food. Enjoy playing at the billiards tables or on the game machines, or just relax with friends on our patio. Happy hour specials are offered every day from 3:00 pm to 6:00 pm, and late night/ early morning from 3:00 am to 7:00 am. Parking is available in the restaurant lot, as well as some street parking. Dom Demarco’s Pizzeria & Bar– where they encourage you to “try 17 pizzas before you die,” or just come in for Happy Hour. Specials run Monday through Friday 3:00 pm to 6:00 pm, on the patio or in the bar. Enjoy buy one get one free on all wells, wines by the glass, and beers and if you’re hungry, try $6 appetizers, pizzas and salads. The restaurant is located in a strip mall with plenty of parking in a shared lot. Echo & Rig is unique among steakhouses, in that it has a glass-paneled butchery room, where you can see the steaks being cut. They have drink specials for Happy Hour while you work up an appetite for dinner Monday through Friday 3:00 pm to 6:00 pm, and Saturday and Sunday from 4:00 pm to 6:00 pm. Weekends feature brunch from 9:00 am to 3:00 pm with bottomless mimosas for $16. Parking is available in the Tivoli Center parking lots, with limited street parking. Fleming’s Steakhouse – Summerlin offers “5 for $6 til 7” – five chef-prepared appetizers, five craft cocktails, and five different wines by the glass each for $6, every day from 5:00 pm to 7:00 pm. Plenty of parking can be found in the restaurant lot. Fogo de Chao offers a full Churrasco experience in a contemporary, modern building and adjacent patio. Happy Hour drink specials are offered in the bar and on the patio Monday through Friday 4:30 pm to 6:30 pm. There is limited street parking and plenty in the Downtown Summerlin lots. Grape Street Café, a rustic wine bar with an intimate, candlelit atmosphere offers Happy Hour specials in the bar and on the full-service patio Sunday through Thursday from 3:00 pm to 6:00 pm. Enjoy $5 shots, $7 well drinks, and select wines by the glass, and share plates of $7 appetizers. 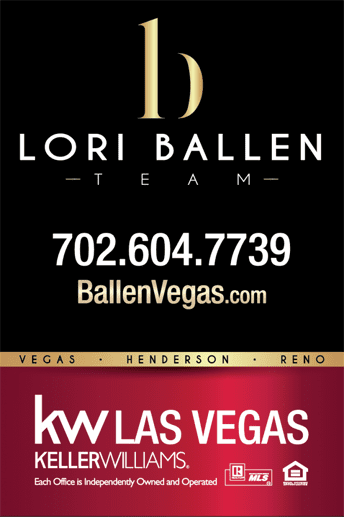 Parking is available on the street and the Downtown Summerlin lots. Hearthstone Kitchen and Cellar offers simple ingredients, locally sourced. With two wood-burning stoves to prepare delicious appetizers and entrees, the smell is amazing. Enjoy Happy Hour specials every day from 5:00 pm to 7:00 pm with $6 drinks and $6 small plates. Sundays are fun days – start the morning with brunch and bottomless mimosas for $15, from 10:00 am to 3:00 pm, and half-off pizzas from 5:0 pm to 10:00 pm. There are other rotating specials throughout the week, including live music. Parking is available at the Red Rock Casino complex. Honey Salt provides farm-to-table food inspired by healthy living. Enjoy Happy Hour specials every day from 3:00 pm to 6:00 pm, with half off all beer, wine, and craft cocktails. Fresh appetizers are $4 to $7, and on Wednesdays, enjoy half off all bottles of wine. Parking is available in the Rampart Commons parking lots. Hussong’s Cantina Boca Park is a fun, friendly atmosphere for casual drinks and sharable plates. Enjoy Happy Hour specials Monday through Friday from 3:00 pm to 6:00 pm and Sundays from 11:00 am to 11:00 pm, with $3 drafts, and $7 bulldogs, $5 margaritas and select cocktails, and $1 to $5 menu specials. Street parking is available. Kabuki Sushi at Tivoli Village is a high-energy, family-friendly and value-oriented Japanese restaurant with Happy Hour specials every day from 3:00 pm to 6:00 pm. Enjoy select cocktails, sake, wine and beer specials starting at $2.95 and select appetizers, sushi and rolls starting at $2.95. Parking is available in the Tivoli Village lots. Kona Grill offers modern American fare and fresh sushi, including a full sushi bar. Enjoy Happy Hour Monday through Thursday from 3:00 pm to 7:00 pm, and late night from 9:00 pm to 11:00 pm with discounted sushi, appetizers, and drink specials. Sunday, enjoy Happy Hour specials all day from 11:00 am to 10:00 pm. Wine down on Wednesdays with half off all bottles of wine from 11:00 am to 10:00 pm. Parking is available in the Rampart Commons parking lots. Lazy Dog Restaurant And Bar– Summerlin spins classic comfort food into elevated, fresh cuisine. Happy Hour is Tuesday through Friday from 3:00 pm to 6:00 pm, and late night Sunday through Thursday from 9:00 pm to midnight. Mondays, enjoy Happy Hour all evening from 3:00 pm to midnight. Enjoy appetizers and drinks from $3 to $8, in the bar and on the patio only. Parking is available outside the restaurant. Libre Mexican Cantina, located in the Red Rock Casino, offers zesty traditional Mexican dishes with a modern flair. Happy hour specials for $6 drinks and the food is available every day from 4:00 pm to 6:00 pm. Enjoy late night specials Friday and Saturday nights from 9:00 pm to midnight. Taco Tuesdays offer all you can eat and drink tacos, tequila, and margaritas for $24. Parking is available at the Red Rock Casino complex. Lucky Bar at Red Rock invites you to kick back in the middle of Red Rock Casino’s gaming floor and enjoy half-price martinis every day from 4:00 pm to 7:00 pm. Parking is available in the Red Rock Casino complex. Market Grille Cafe Summerlin is a fresh, airy café with homemade Greek and Mediterranean food. Enjoy Happy Hour specials Sunday through Thursday from 4:00 pm to 6:00 pm, with $2 off any beer and glass of wine, and $2 off any appetizer. Enjoy half off all bottles of wine on Mondays, from 11:00 am to 10:00 pm. Parking is available in the shopping center lot. Nacho Daddy Summerlin is a casual, fun spot to relax with a group of friends. Enjoy Happy Hour specials Monday through Friday from 3:00 pm to 6:00 pm with $4 well drinks, $4 Mexican drafts, $5 house wines and $5 house Margaritas, and $6 strawberry Margaritas. Split several appetizer specials, priced at $4 and $5, between the group. Parking is available outside the restaurant. North Italia serves handcrafted, traditional Italian cuisine, combining fresh ingredients of both sea and land. Happy Hour specials are Monday through Thursday from 3:00 pm to 6:00 pm, including $4 beers, $5 sangria or wines by the glass, and $16 bottles of wine or pitchers of Sangria. Food specials from the Happy Hour menu are $3 to $20. Enjoy weekend brunch from 10:00 am to 4:00 pm, with $6 mimosas and bellinis. Parking is available in the lot outside the restaurant. Osaka Summerlin offers traditional Japanese cuisine, including a full sushi bar crafted from the freshest ingredients. Happy Hour is every day from 4:00 pm to 6:00 pm, with sushi and appetizer specials, and drink discounts on Sake, house wines, glass beers, and well cocktails. Parking is available in shared lots outside the restaurants. PKWY Tavern – Rampart serves American comfort food in large portions. Happy Hour specials are Monday through Friday from 4:00 pm to 7:00 pm and include $3 draft beer, house wine by the glass, and well drinks. Shareable bites are priced between $5 to $7. Parking is available in the Rampart Commons parking lot. Public School 702 at Downtown Summerlin offers diners “An Education in the Art of Food & Beer” in a chef-driven gastropub atmosphere. Happy Hour is Monday through Friday from 4:00 pm to 7:00 pm, with $5 draft beers, $5 wells, and $10 red and white wine carafes; and $15 “Dean’s List” premium carafes. Enjoy sharing small plates priced from $4 to $7. Parking is available in the Festival Plaza parking lots and garage. Settebello prepares classic Pizza Napoletana in a wood-fired oven. Enjoy Happy Hour specials Monday through Friday from 3:00 pm to 6:00 pm and later from 8:00 pm to 9:00 pm. Drink specials include $2 off select beers and wine by the glass, $3 off cocktails, with $5 select appetizer including Mini Pizzas. Parking is available outside the restaurant. Shizen Japanese Steakhouse combines classic Japanese cuisine and a full sushi bar with the freshest fish. Enjoy interactive dining at one of the entertaining teppanyaki tables or sit at the expansive sushi bar – or sit outside on the patio. Happy Hour Specials are offered Wednesday through Saturday from 5:0 pm to 7:00 pm, with sushi 50% off and $5 wines by the glass and Sakes. Parking is available in the JW Marriott lots; the restaurant is located inside the hotel. Sierra Gold at Buffalo offers spirits, dining, and jackpots. Part of the PT’s company, you can enjoy watching your favorite sporting events on the many big-screen TVs. Happy Hour is every day from 5:00 pm to 7:00 pm and late night from midnight to 2:00 am. Enjoy half off all drinks and half off pizzas. Craveable small plates are just $5. Parking is available outside the restaurant. The Cheesecake Factory Boca Park offers upscale American food and their signature cheesecake desserts in a familiar environment. Enjoy Happy Hour Monday through Friday from 4:00 pm to 6:00 pm, with rotating specials on craft cocktails, select well drinks and wine by the glass, $4 select draft beers, and appetizers and small plates starting at $5.95. Parking is available in the Rampart Commons parking lots. The Martini is sure to impress with lots of wood, soft lighting, and comfortable seating. Enjoy good food and handcrafted cocktails in a lounge setting. Happy Hour specials are every day from 3:00 pm to 6:00 pm,and again late night from midnight to 4:00 am, with $3 draft beer, $4 well drinks, $5 glasses of wine, $5 Skyy Cosmo, Appletini and martinis, $5 martini of the day and $5-7 food specials. Parking is available in the lot outside the restaurant. Three Angry Wives Pub has it all: Good brews, good food, and good friends. Happy hour is Monday through Friday from 2:00 pm to 6:00 pm, offering half off all beers and half off selected appetizers. Parking is available in the restaurant parking lot. Trattoria Reggiano serves warm, traditional Italian cuisine in a friendly family-like atmosphere. Enjoy Happy Hour Monday through Friday from 4:00 pm to 7:00 pm, with two for one beer, house wines, well drinks and Sangria. Work up an appetite for their delicious entrees. The restaurant is located inside a mall, and parking is available in the mall’s general parking lots. View Wine Bar & Kitchen is a local favorite, with small plates featuring farm-to-table preparation and fresh, seasonal ingredients. Happy Hour is actually “Happy Afternoon,” every day from 1:00 pm to 3:00 pm, featuring $2 Bloody Marys, Mimosas & Bellinis and $5 Angus Burgers. Enjoy traditional Happy Hour every day from 5:00 pm to 8:00 pm, with $2 Cabernet and Chardonnay and $3 select draft beer. Parking is available in the Rampart Commons parking lots. When you want to go out, but aren't feeling the brightness of The Strip, there are plenty of choices in Summerlin for Happy Hour fun. With unique drink specials, shareable small-plates, and even live entertainment, there's somewhere for every #squad to cut loose and relax.